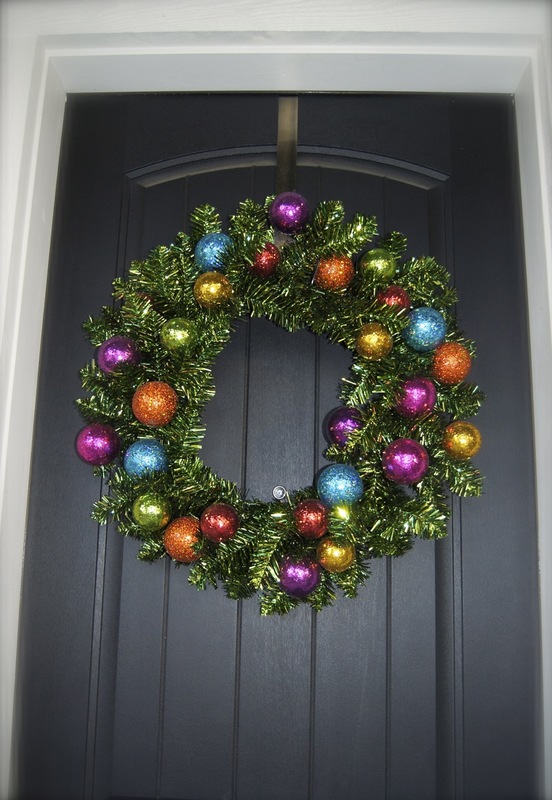 This wreath is so colorful and festive that I just had to post it on New Year’s Eve! Here’s to mud in your eye if you are a gardener! And if not, well then simply cheers! Cheers to new beginnings wherever you decide to start them but most definitely in the garden! Many thanks to all who stopped by during December for the daily wreath fun. I look forward to potentially hearing from you again as I share garden happenings in the coming year. I especially liked this wreath and look forward to your gardening wisdom and wit in 2014. Happy New Year! What a lovely bright one for New Year’s Eve. Happy New Year Andrea! What a great choice for NYE! Looks like the colors of fireworks. I’ve so enjoyed your daily wreathes. Every good and growthful thing to you in 2014. I like New Beginning, Happy New Year to you and yours. well I came for the wreaths – but also enjoyed the many doors!! and this navy door, with that subtle matte paint (that was also un-knicked and just clean) – well it was nice by itself – but ’twas also a great backdrop for such a colorful, foil-y- new years eve-y – wreath – nice choice- and Happy New Year! I like it! Very festive. Happy 2014! I think you picked a great wreath…it is so colorful and a perfect way to celebrate the new year. Wishing you all the best.